More than a month ago Politico's Ben Smith reported that advocates of health care reform were altering their public relations strategy, because the Affordable Care Act was proving to be a lot less popular than they had hoped. They would stop talking about its potential to save money, since nobody seemed to believe that claim, and start vowing to fix its flaws. The article generated a lot of push-back and, to this day, I'm not sure exactly what was and wasn't said in the meeting that generated Smith's story. But it was consistent with other reports floating around at the time. And it's turned out to be prescient. Most Democrats campaigning for election right now have downplayed health care reform, except for those who have actually boasted of their votes against it. Meanwhile, the actual elements of reform--like prohibiting insurers from excluding people with pre-existing conditions--remain wildly popular. And that same Kaiser poll suggested voters were pretty much split on whether they were more or less likely to support a member of Congress that voted for the Act. Given all of this, the best strategy might be to go on the offensive, rather than retreat--that is, to tout the law's benefits and challenge it's opponents to defend repeal. President Obama has been doing a lot of this lately. The last few weeks have seen the most sustained and, I would argue, most effective public relations push on reform singe Obama signed the Affordable Care Act back in March. But now he finally has some company: Wisconsin Senator Russ Feingold. 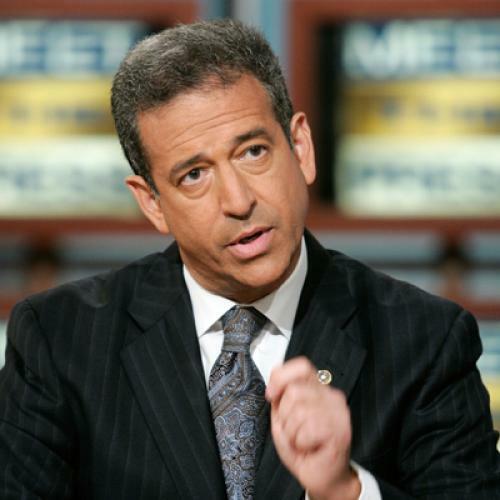 Senator Feingold has always been on our side, fighting the insurance companies. But Ron Johnson won't even get in the ring for us. Russ fought insurance companies to stop insurance companies from denying Wisconsin children health care due to pre-existing conditions. Mr. Johnson would put insurance companies back in control. ... Letting them raise premiums and increase our costs whenever they want. Ron Johnson: Hands off my health care. Hands off my health care. [Feingold speaking] I'm Russ Feingold and I approve this message because you deserve a senator who's on your side. A few things about this ad stand out. It touts the elements of reform that are most likely to resonate with independent, middle-class voters. It makes clear that repealing the Affordable Care Act, even partially, would mean taking away benefits that Americans are already starting to get. And it frames health care reform as an explicitly populist cause. It's all about the ways the little guy is at the mercy of big insurance companies--and which candidate is on whose side. I really have no way to know how these ads are playing or will play. Maybe talking about health care reform, even in this way, simply alienates voters who want to hear about the economy. But my gut tells me that Democrats are better off fighting the attacks on health care than ignoring them--and that pitches like these will help, rather than hurt. P.S. Feingold isn't the only Democrat doing this. Representative Pete Stark has been among those hammering these theme, too. But Feingold is one of the first truly vulnerable Democrats to seize on the issue, as far as I know.